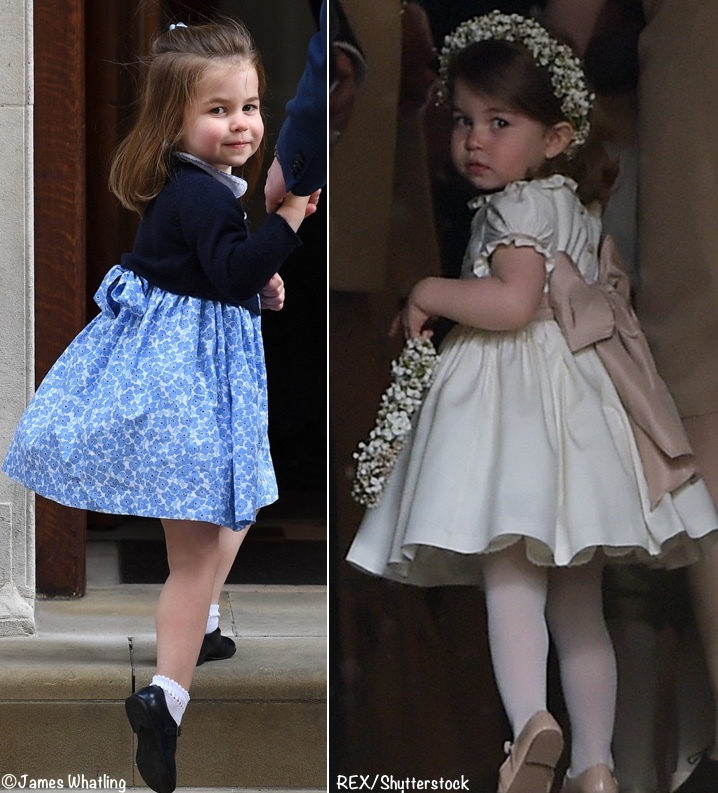 What Kate's Kids Wore | Happy 3rd Birthday Princess Charlotte! 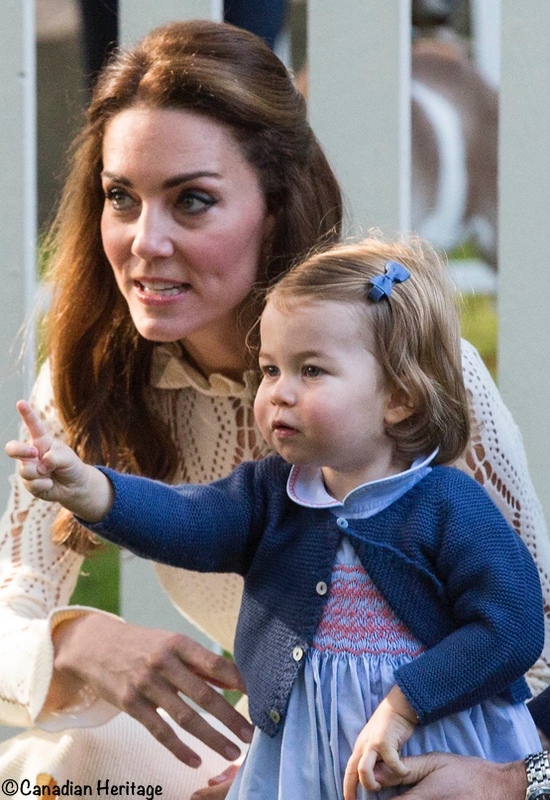 Home » Charlotte » Happy 3rd Birthday Princess Charlotte! My guess is that Kate and William felt a separate photo wasn’t necessary since the Princess was just seen with George when Prince Louis was born, and the public will see both children again in less than 3 weeks at Harry and Meghan’s wedding. 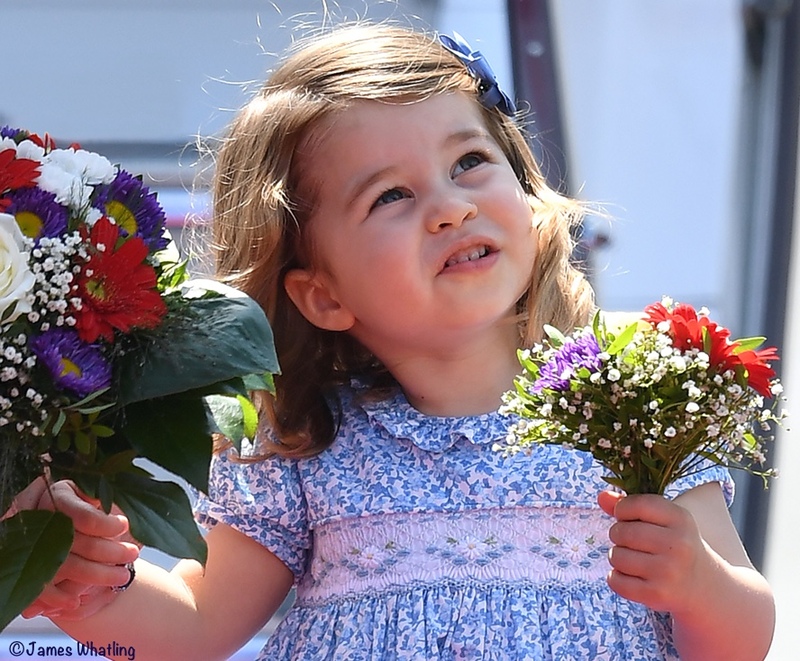 It has become something of a custom to release new photos of the royal children on their birthdays, since the public sees them only a few times a year. 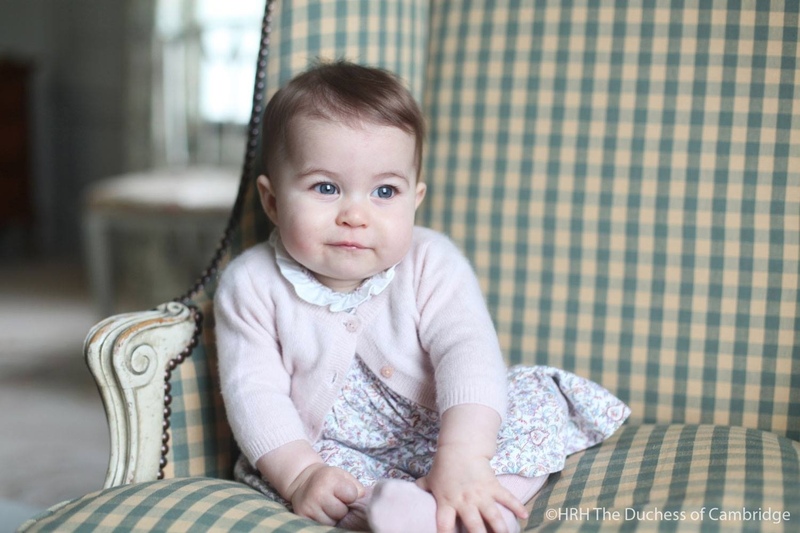 However, given how busy a spring the royal family is having, they’ve opted not to share a new photo this year, so as to not overexpose young Charlotte. 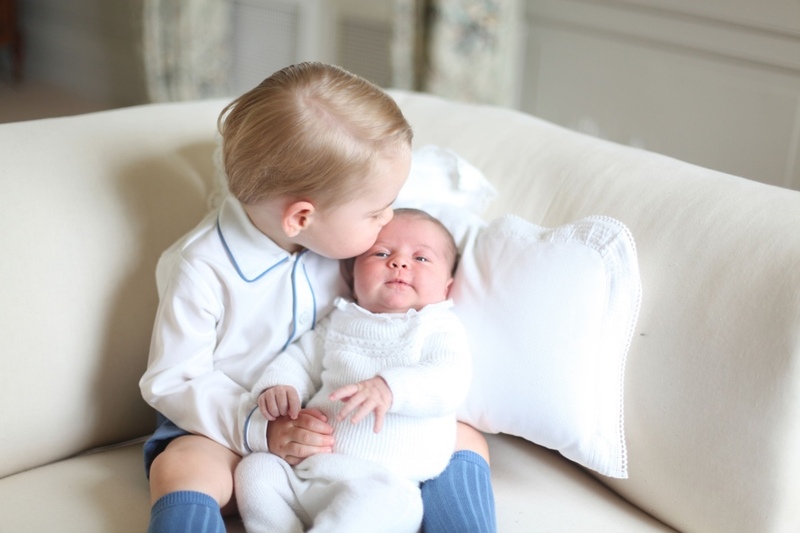 The Duke and Duchess of Cambridge will likely release an official portrait of young Prince Louis in the coming weeks, and Charlotte could be featured in that photo. 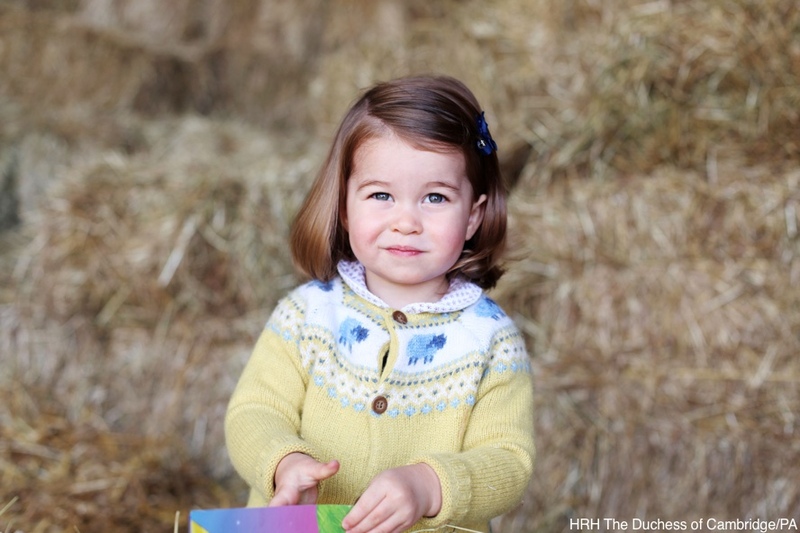 Below, photos from the last five months: the Princess’s picture from the family’s Christmas card, in the car after the Queen’s Christmas luncheon and on her first day of school. 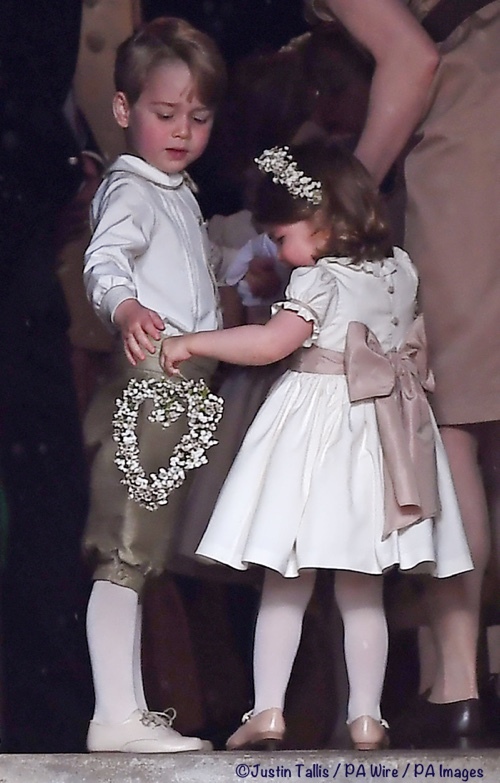 George and Charlotte looked splendid when they were part of the wedding party for the Pippa Middleton/James Matthews wedding last May. I think we will probably see them in similar attire for Meghan and Harry’s wedding. 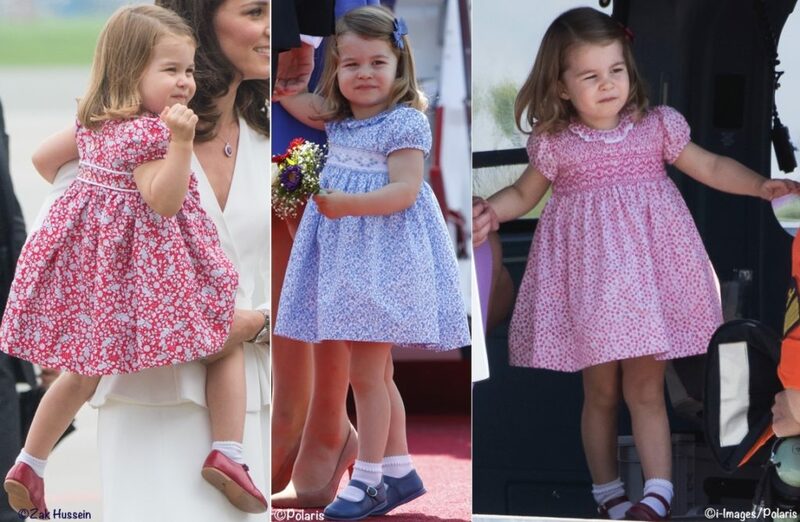 We have enjoyed some wonderful pictures when George and Charlotte accompanied their parents on tour. One of my favorites from the last year was when the Princess almost appeared to be levitating across an airport tarmac in Germany. Charlotte looked darling during that tour. Especially with her first official flower posy. 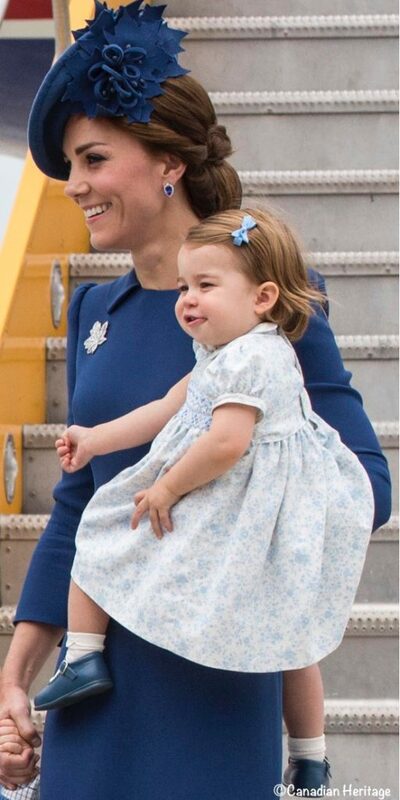 We all remember Kate holding Charlotte as the Cambridges arrived in Canada in September of 2016. And the children’s party during the Canada trip. 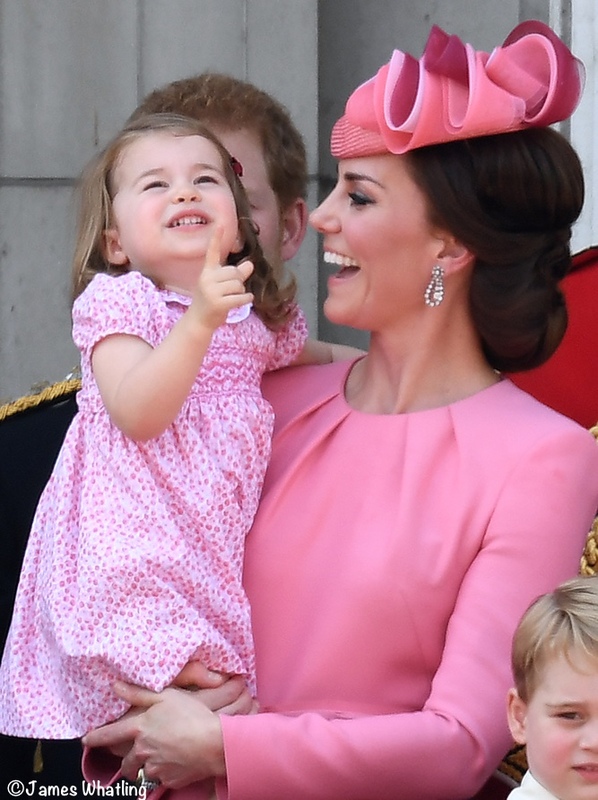 It’s been a delight to see her at Trooping the Colour. Below, at last June’s festivities. 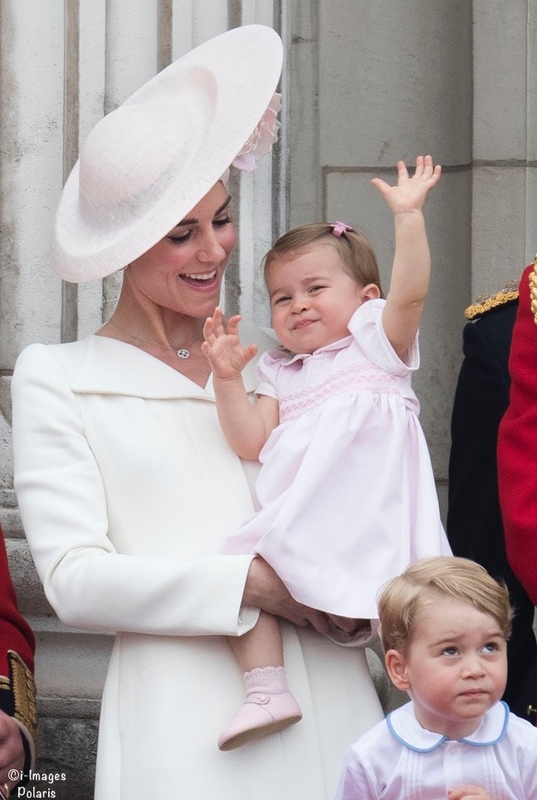 And in her first appearance at Trooping in 2016. The Princess was precious for Christmas church services in 2016. 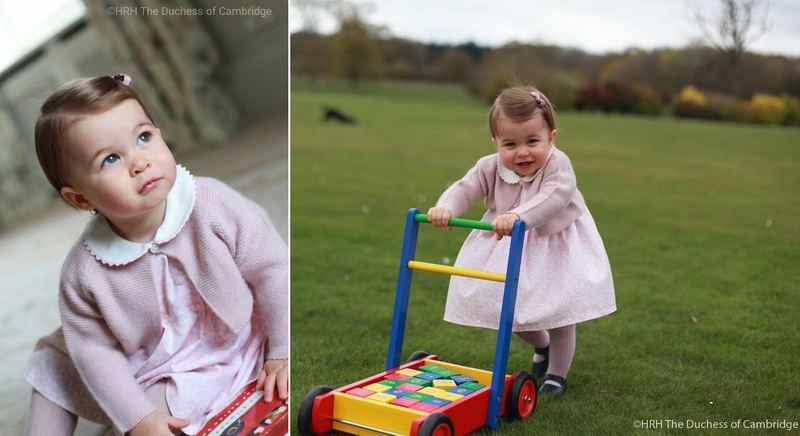 Pictures released for Charlotte’s first two birthdays have been taken by Kate. 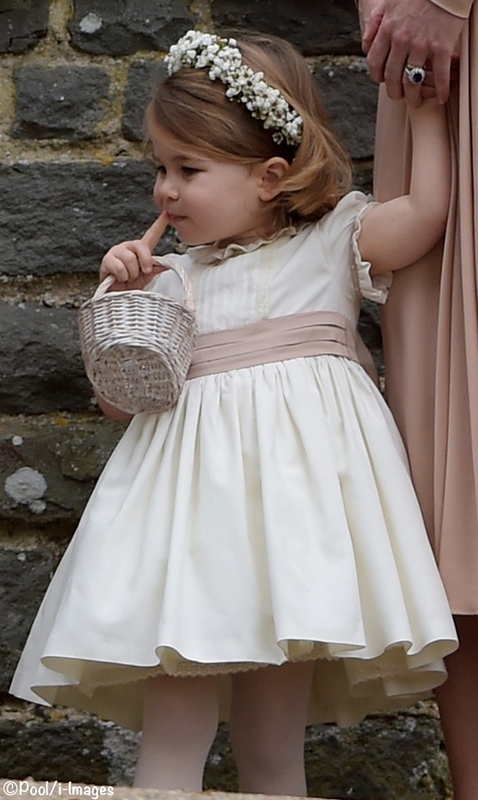 The photo for her second birthday was a hit with royal family followers. As were the pictures from her 1st birthday. 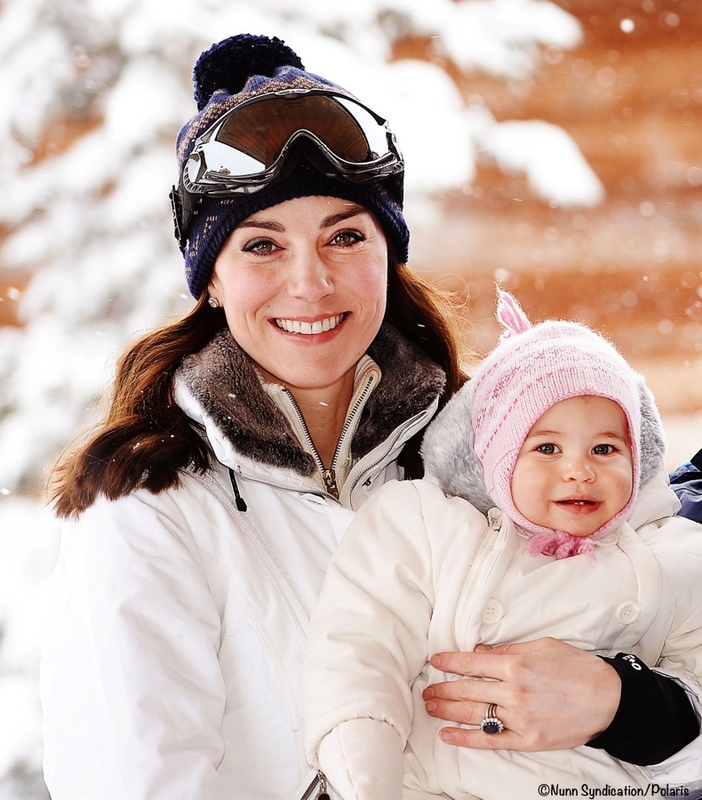 Kate and William shared photos from a family ski trip in March of 2016. 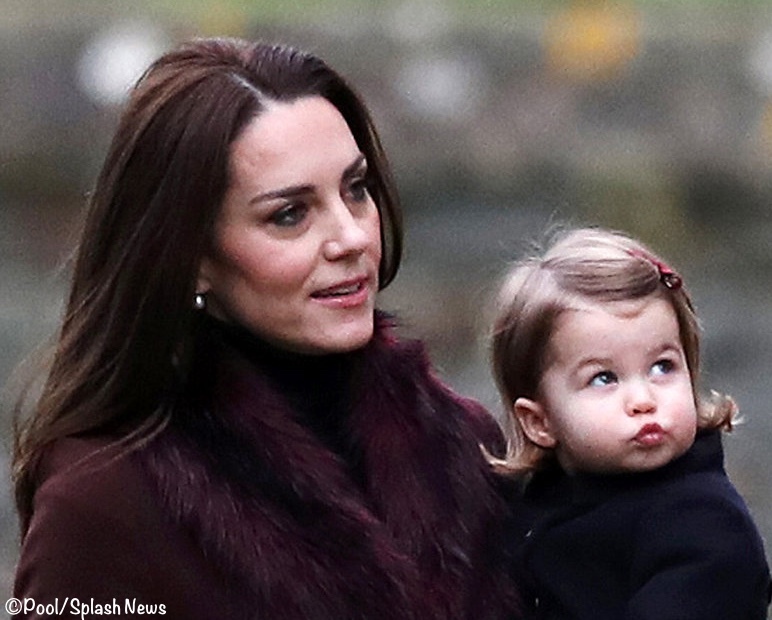 Some of the earliest images released by Kate and William are of Charlotte when she was about seven months old. 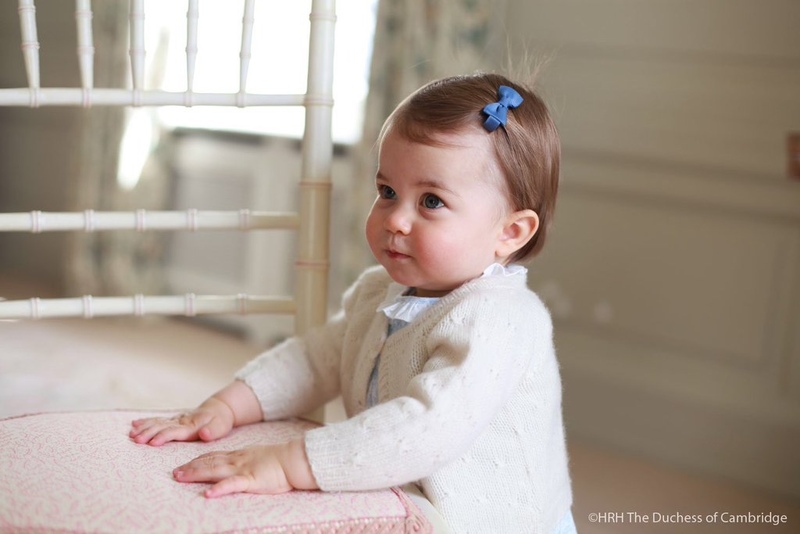 And there was a wonderful set of four pictures, all of them with George, when she was roughly a month old. As mentioned in the Town and Country article, it’s possible the Duke and Duchess will release a new family photo with all three children in the next few months. 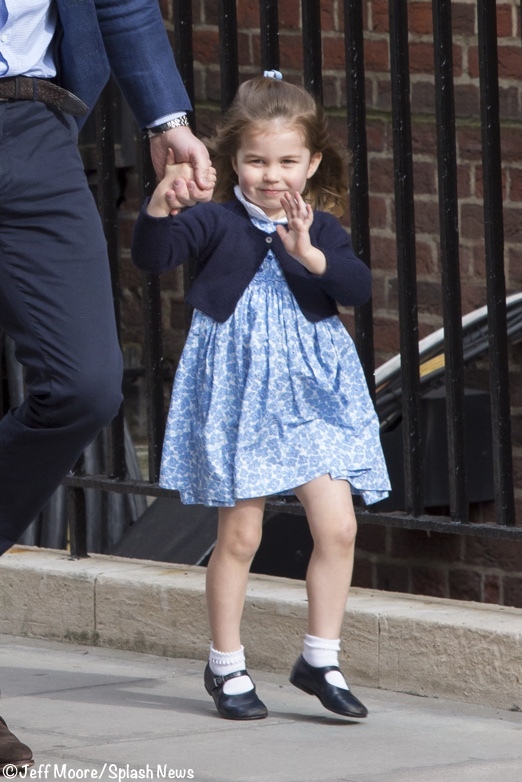 Also today, a quick note about Little Alice London, where Kate purchased Charlotte’s blue dress seen at the Lindo Wing last week. 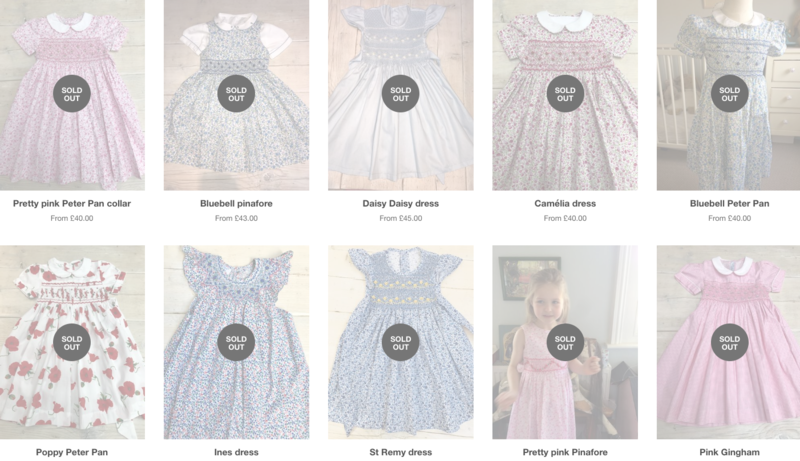 As you might anticipate the Charlotte Effect continues apace; here is a look at the Little Alice London dresses page. There is good news: the company will be making more dresses. I have not been able to find out if this specific dress will be offered again, but will update here and on social media if/when I am able to get that information. If you are looking for a smocked summer dress our friends at La Coqueta have a nice selection. There are designs for both infants and girls up to size 10. La Coqueta is one of our newest sponsors; all of their merchandise is made in Spain, and their smocked pieces are all done by hand. We also have a tip from Diana on the WKKW Facebook page that the Love Knitting website has a number of knitting patterns for pieces like the Irulea set and GH Hurt shawl worn/used with George, Charlotte and Louis. I hope you enjoyed our little photo retrospective of Charlotte! Thank you for the adorable walk down memory lane! What a little darling she is. My bet is that they’ll be releasing photos to mark Louis’ birth soon, and that all 3 children will be in those. Maybe they just decided to wait until then to show a new pic of Charlotte since the two traditionally picture events fall so close together. Not to mention the very busy spring they have coming up. Oh well, more fun watching to look forward to!